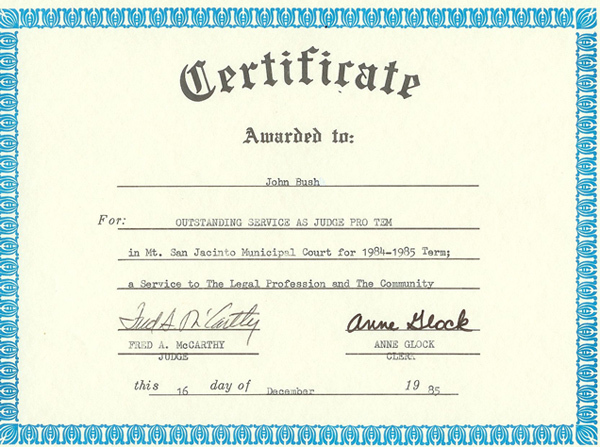 John C. Bush is a Local Hemet Attorney for the past 25 years practicing in Hemet, California engaged chiefly in injury law. 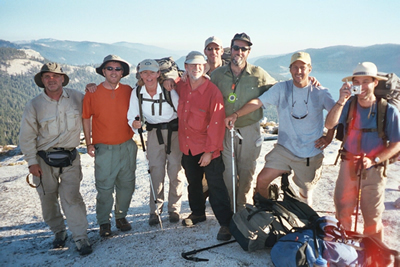 He limits his practice to workers’ compensation injuries at the Workers’ Compensation Appeals Board and Personal Injury litigation in the California Superior Court. He want’s to be your injury lawyer. Mr. Bush has proven a very reliable person in injury law. He has assisted our local courts as a judge pro tempore (Hemet Court). 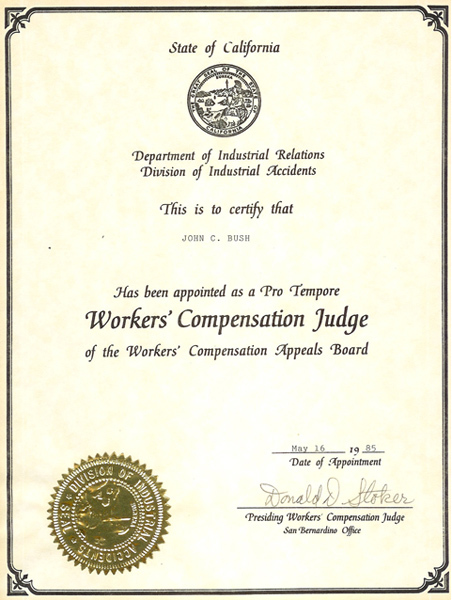 He has been appointed as a Judge Pro Tempore for the Workers’ Compensation Appeals Board. 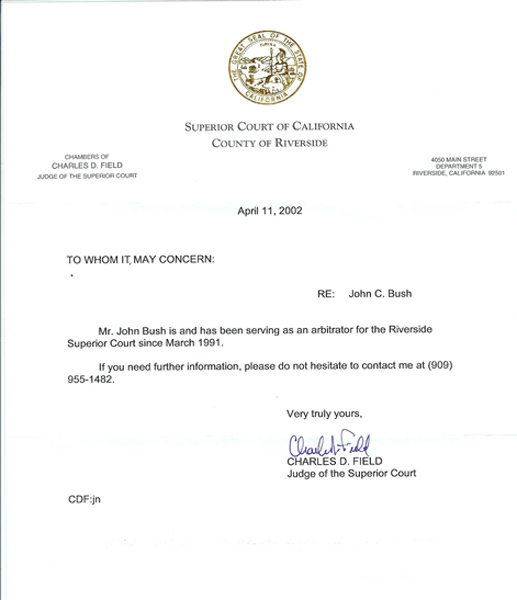 Mr. Bush has also served as an Arbitrator for the Superior Court since March, 1991 to the present and continuing hearing injury cases on behalf of the Riverside County Superior Court. Recently, Mr. Bush was appointed as an Arbitrator for the Division of Industrial Accidents. Mr. Bush has been involved in many personal injury jury trials and court trials in our Superior Courts and hundreds of hearings and trials before the workers’ compensation appeals board. He will aggressively litigate your matter and if it cannot be fairly settled he will take it to court and let the court or jury decide the matter. The only person that will settle your injury case will be you after you are apprised of all the facts and risks. You are the boss around here. No Attorneys fees until we settle or try your case, if there is no recovery, no fee. Home or Hospital visits if you are unable to come to our office. Court costs may be advanced on your behalf. Most cases settled out of court or in advance of trial. Medical care specialists and treatment on a lien can be arranged for you if necessary. 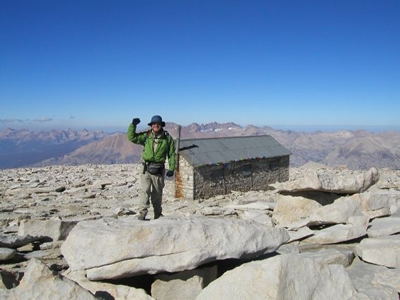 As an amateur mountain climber and peak bagger, John has climbed the highest peaks in Southern California all in one day hikes from 7 to 25 miles at one time, including Mount Whitney. He is an amateur runner, completed a marathon and is training for another marathon at this time. John is training to run a (new) Marathon, in an effort to raise money to help find a cure for blood cancers, and also to help the victims of these diseases. Team in Training TNTORS page of runners in the Inland empire Team in Training Website. ATTORNEY AVERTISING: Some of the content of this site is considered advertising material under the applicable rules of the California State Bar and under the rules of certain states. Prior results do not guarantee a similar outcome in any new or future claim or lawsuit. "Making a false or fraudulent statement of fact in order to obtain workers' compensation benefits is a felony and may result in a fine of up to $50,000.00 or double the amount of the fraud, whichever is greater, and time in the California State Prison System." 'Making a false or fraudulent workers' compensation claim is a felony subject to up to five years in prison or a fine of up to $50,000 or double the value of the fraud, whichever is greater, or by both imprisonment and fine.' [Lab.C. 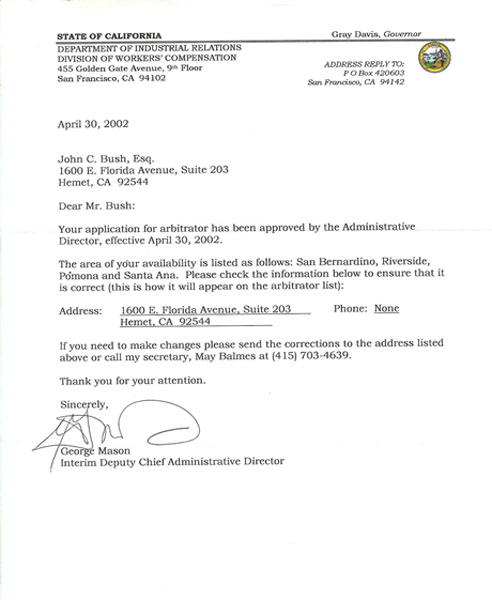 § 5432(a)] John C. Bush & Associates. All rights reserved.